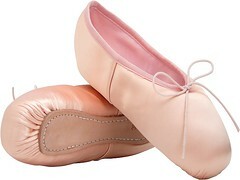 The nutcracker pointe shoe has certainly been a hard case to crack, no pun intended. 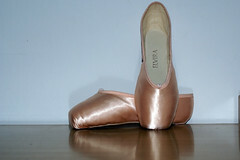 Over the course of a year, I have gathered several photos of these mysterious pointe shoes. 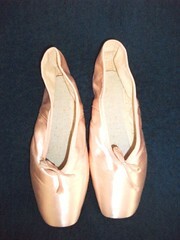 These pointe shoes are produced in Argentina. The word Casca Nueces means nutcracker in Spanish. This particular shoe is very intriguing, to say the least. 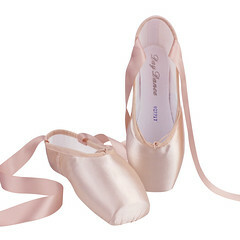 When it comes to pointe shoe brands, South America is revealing more manufacturers than I ever thought existed. I have stumbled upon a few other brands from South America that I will post at a later date. I am still trying to locate a website or any information about these shoes. 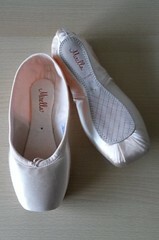 The shoe has the name Casca Nueces stamped on the sole and also on the retail bag. That generally means the manufacturers brand name. 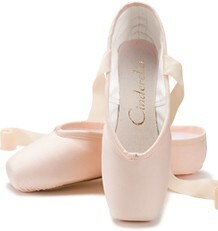 These pointe shoes are Casca Nueces brand, but could have another interesting model name. 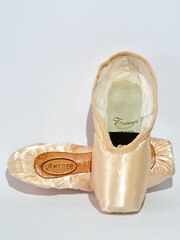 This entry was posted in Mystery Pointe Shoe Brands, Spanish Brands and tagged Casca Nueces pointe shoes, pointe shoes made in Argentina, Spanish pointe shoes. Bookmark the permalink.